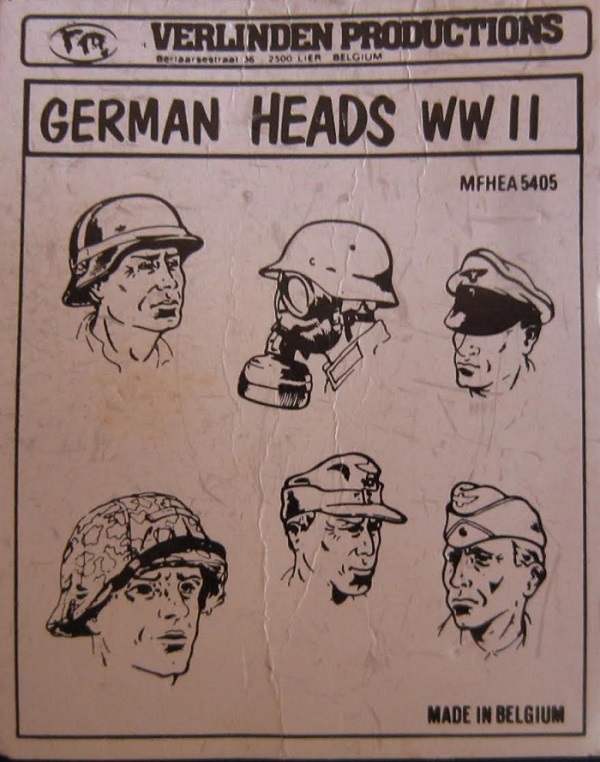 7 white metal parts: 2 heads wearing steel helmets (one of these covered with cammouflage net), 1 with steel helmet and wearing a gas mask, 1 with soft field cap, 2 with side caps and one with officer's hat. VLS sets are mostly made with tan resin, but a few...like this set....have been done in white metal. All VLS sets are short run products and go off the market after a few months. 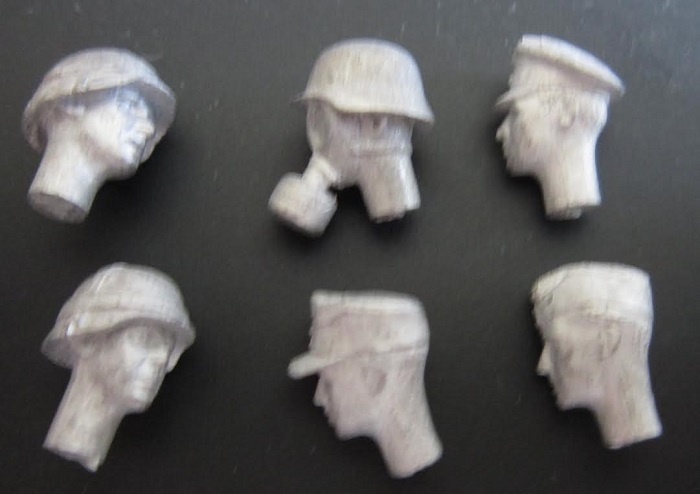 These heads will definately improve a lot of heads on plastic figures by replacing them. I got this set willed to me by a fellow modeler who died of cancer years ago. I am willing to sell this set at a good price + postage. ​I have 2 of this set.